Al the latest new about grey or gray hair. 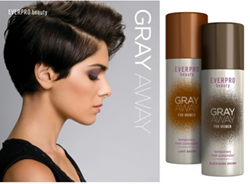 EVERPRO, a brand founded on a single mission to offer innovative solutions to unique hair concerns, is pleased to introduce GRAY AWAY, the fastest and easiest way to temporarily touch-up gray roots and the answer for women struggling to maintain perfect hair. GRAY AWAY offers a revolutionized formula that extends the life of salon color by flawlessly concealing gray roots as hair color begins to grow out, providing instant gray coverage in just ten seconds. It is perfectly normal for people to have gray hair as they get older. However, that becomes a problem when gray hair starts affecting folks who are still in their teens to early adulthood because of the attached “stigma” behind having gray hair–namely, that it supposedly makes one unattractive. There are indeed many factors connected to graying hair, and most of these can be reversed early without the use of harmful hair dyes. 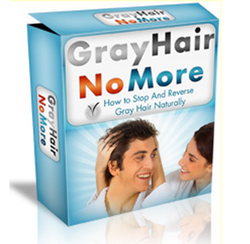 Grey Hair No More by Alexander Miller offers such a solution by giving readers useful techniques on how to reverse graying hair with only the use of natural methods and products.